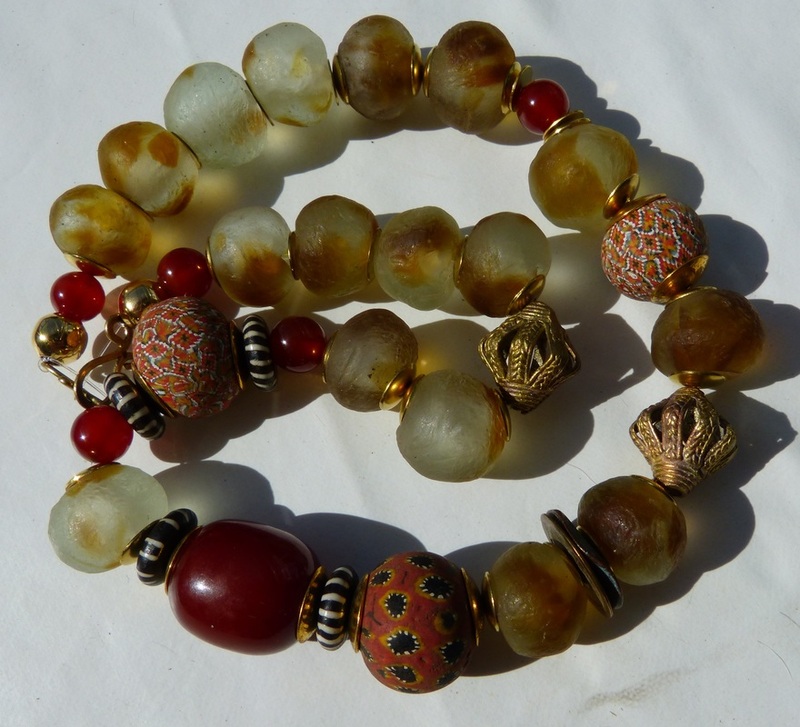 African Krobo glass was and is produced by the Krobo Tribe in Ghana. 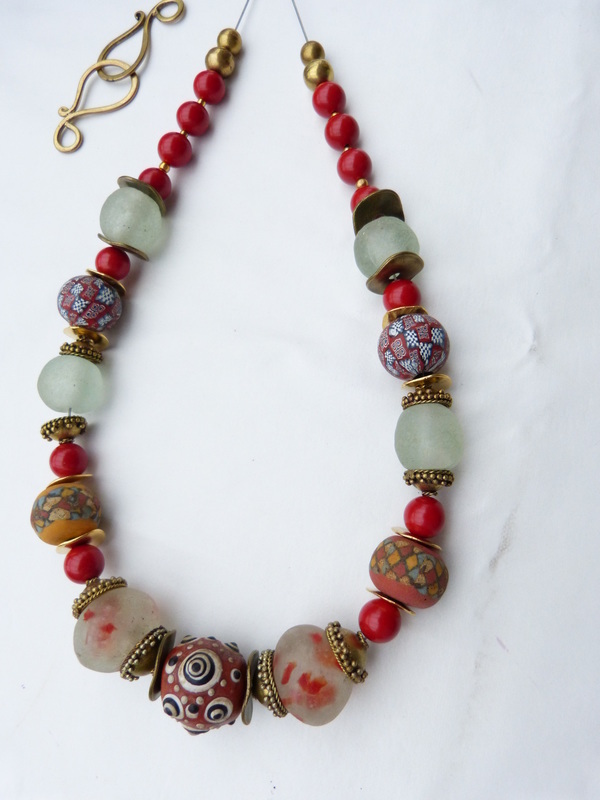 Old crushed bottle glass is used for these handmade beads. 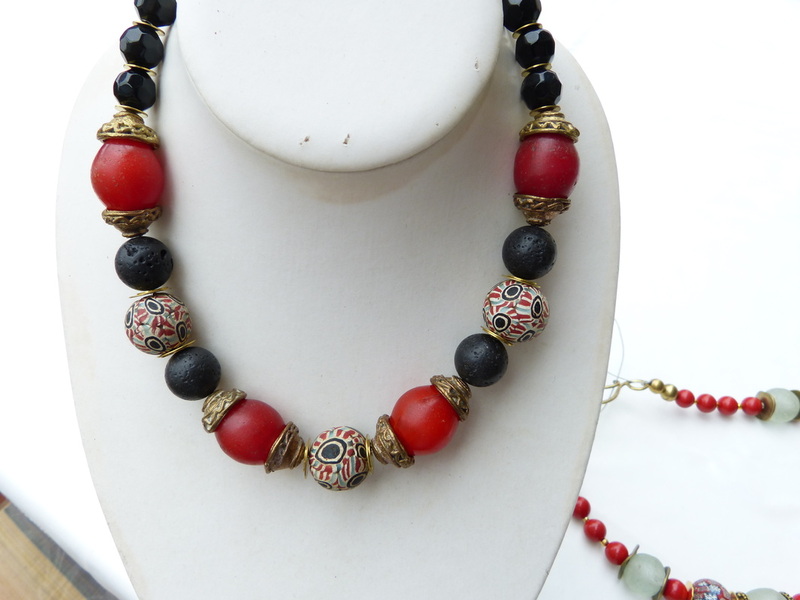 The large oblate beads used in the necklaces here were produced and bought in the mid 1990s. Newer beads have a more round shape, see NL 924 the white beads.